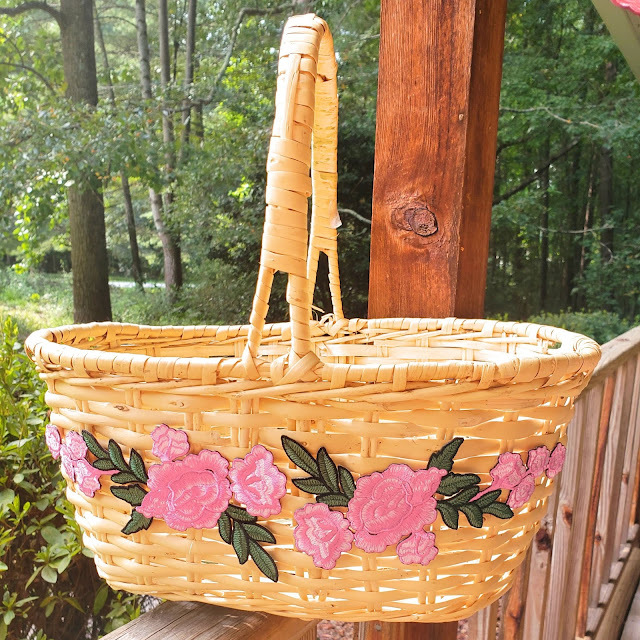 Use a pretty floral basket to tame the clutter in your home! Have y'all looked at the price of baskets lately? Wow, are they expensive! I recently went shopping for some baskets to use in my living room to hold all those items that seem to clutter the surfaces. But to get one that is actually big enough to hold things like magazines, remotes, and books, you normally have to spend some big bucks. However, being as frugal as I am, I just couldn't do that. So I decided to turn a thrift shop bargain into a gorgeous piece that's both pretty and functional. Just hot glue those pretty appliques onto the sides of your basket! 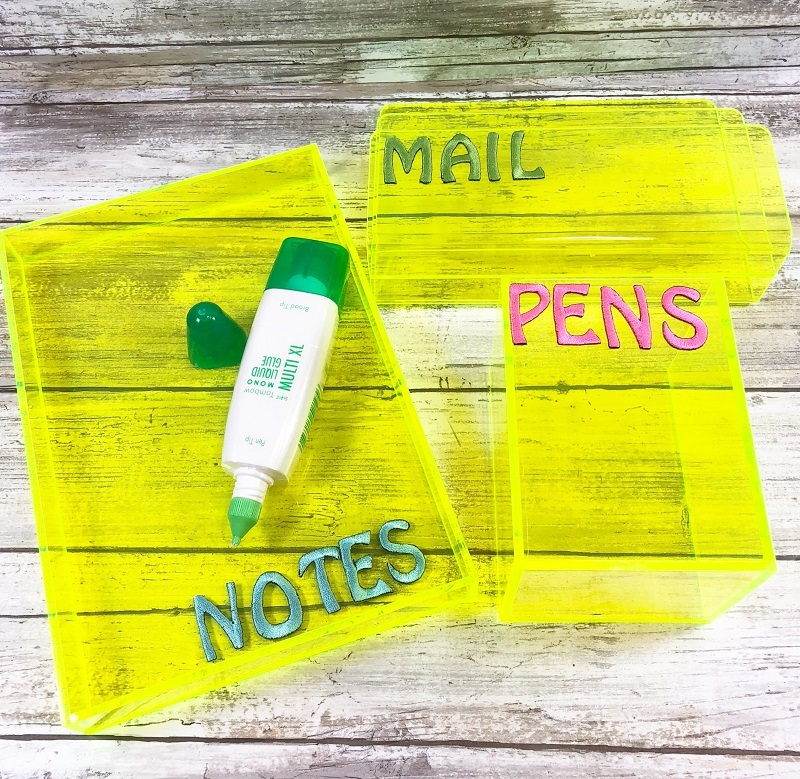 Now you have a nice way to corral your clutter! 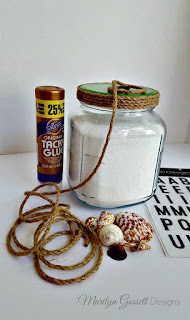 Use a vintage thrift store find to create a count down calendar for a family trip! 1. Trace the jar onto the paper and trim to fit. Adhere the letters to a strip of plain cardstock using low temp hot hot glue then adhere the strip to the patterned paper. Trim to fit. 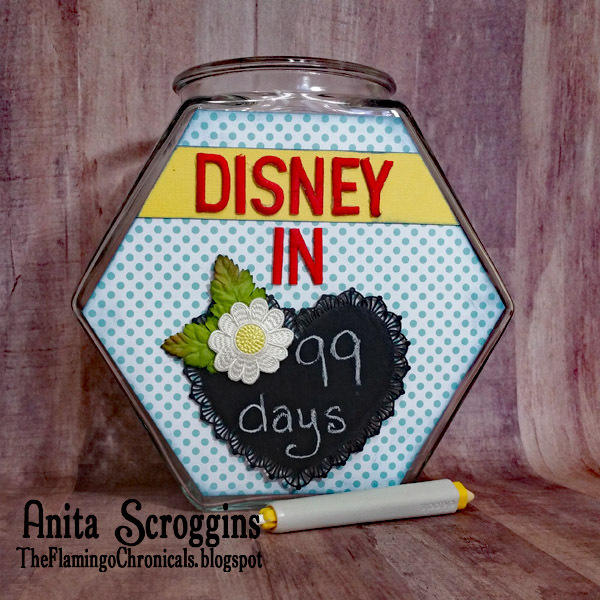 Use a tape runner to adhere to paper to the front of the jar. 2. 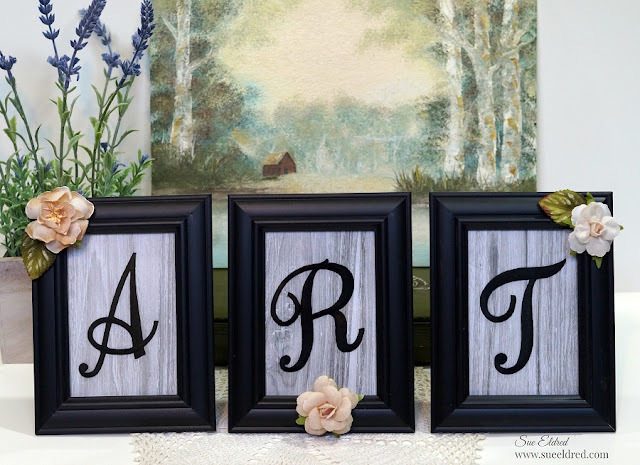 Paint the chipboard piece with chalkboard paint and let dry. Add the daisy and paper leaves to the chipboard and use hot glue to adhere to front of jar. 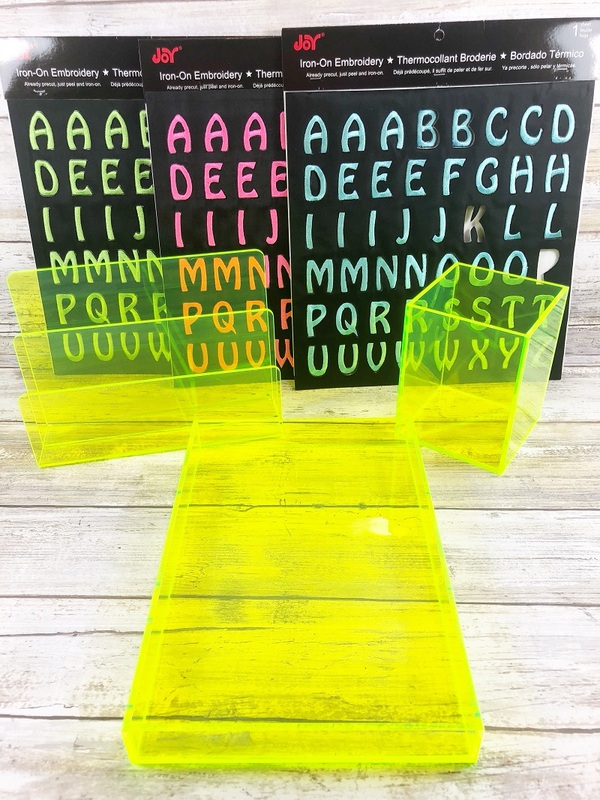 Use chalk to write message on chipboard. especially the new floral appliqués! 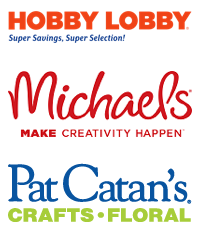 Be sure to look for them the next time you are shopping at your favorite craft store! 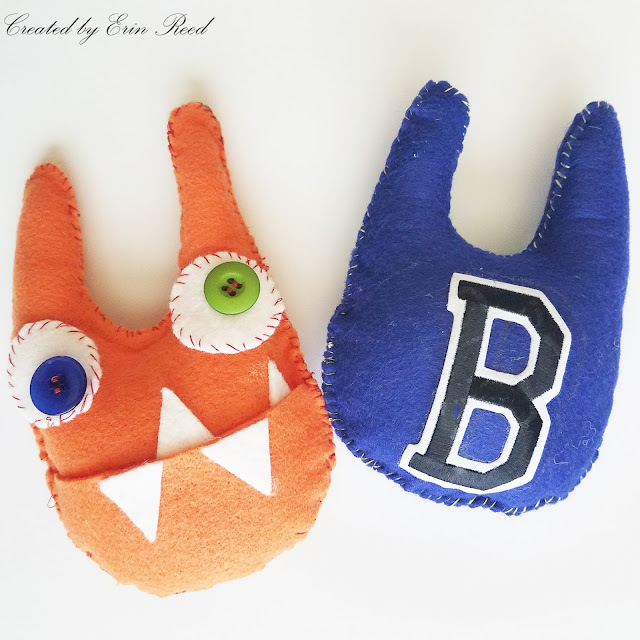 Everybody needs a personalized tooth fairy pillow monster! 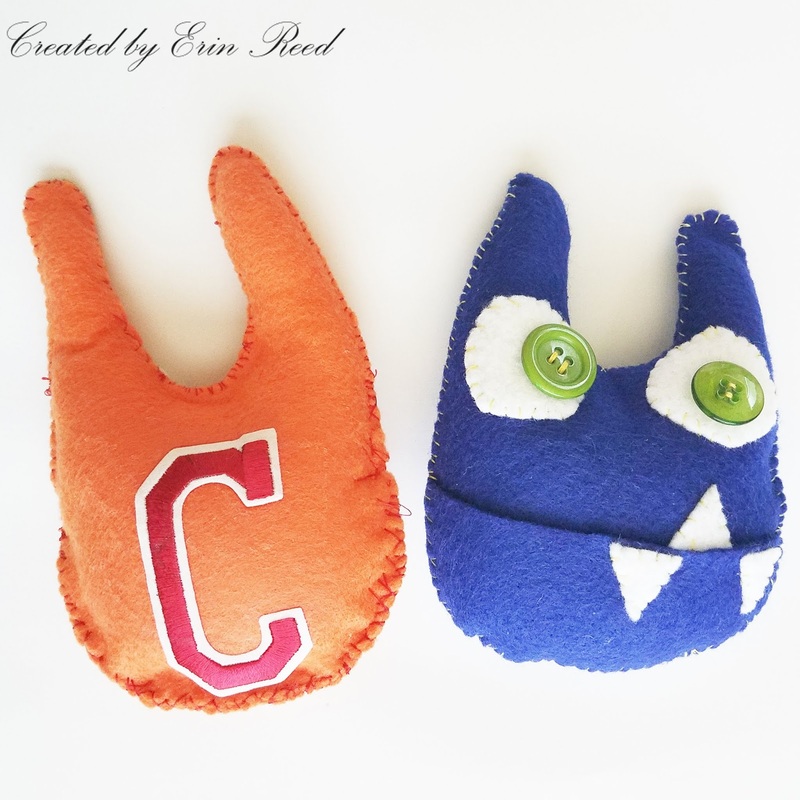 Create you own one of a kind tooth fairy monster pillow with your initial on it! Cut 2 tooth shapes from colored felt, plus 2 additional half round shapes for the pocket on the front as shown. Cut round and triangle shapes from white felt for the eyes and teeth. Select the letter you wish to use. The first letter of the child's first name is always a win. Peel away the backing, then iron on to the back of one piece of felt following the directions on the back of each package. Sew the pocket, eyes and teeth to the front of the second piece of felt. 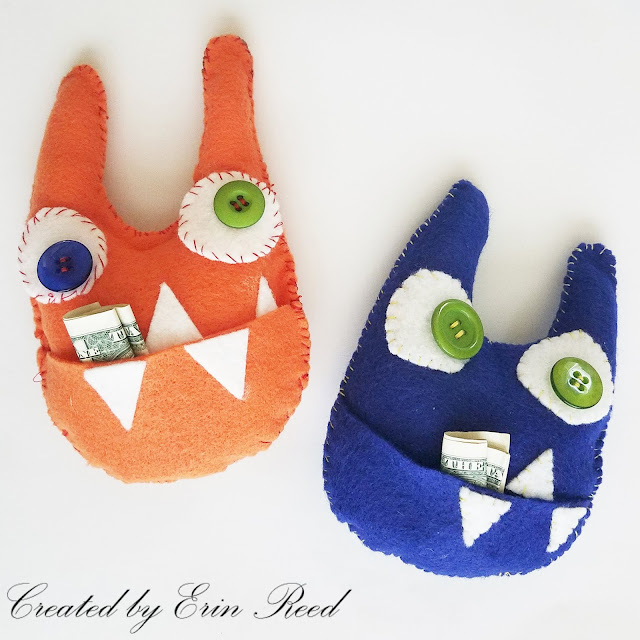 Sew the two sides of the tooth together then stuff with fluff leaving the front pocket open for the tooth and money. 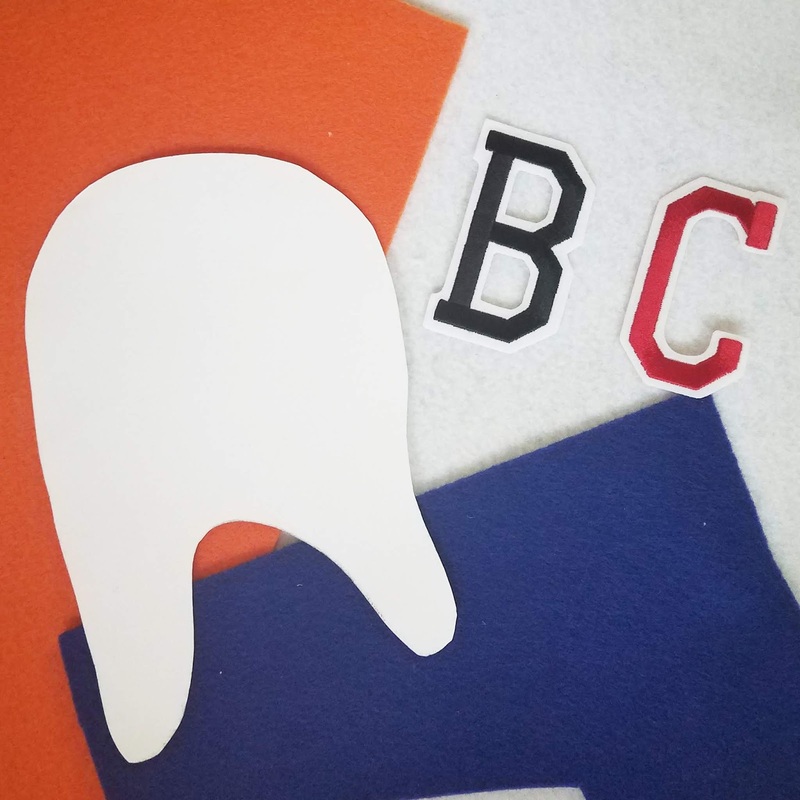 Your kids can have fun picking out the color of the felt, and also the color Joy® Iron-on Varsity Letters to place on the back! Enjoy this short video on how to make these fun little monster pillows. Add pizzaz to a plain pair of shorts or pants, or update and give new life to pair that still fits! Joy® Iron-on flowers are perfect to make your old clothes cute again. 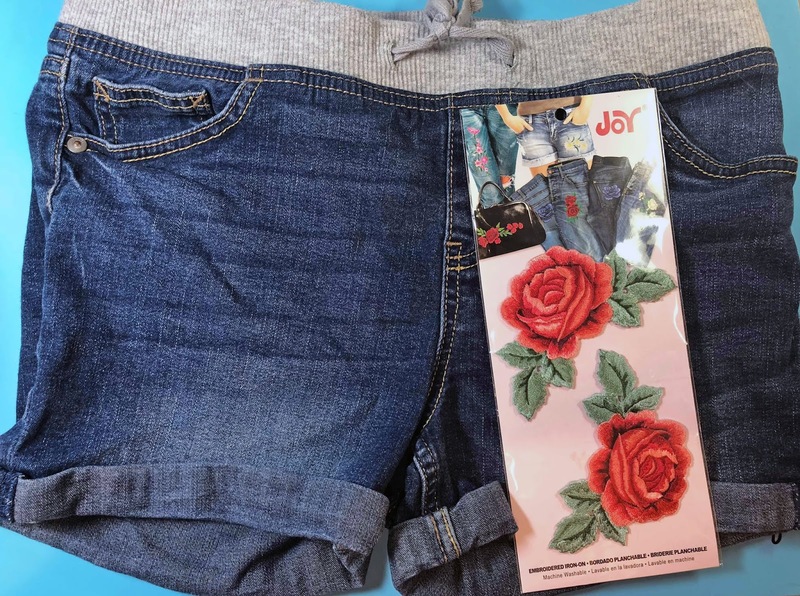 Place the Joy® iron-on embroidered flower on the shorts then iron in place following the instructions on the back of the package. Voilà you're done! It's so easy! Make a personalized Apple Coaster for your new teacher. Include a gift card to their favorite coffee spot and you'll be the teacher's pet this year! 1. 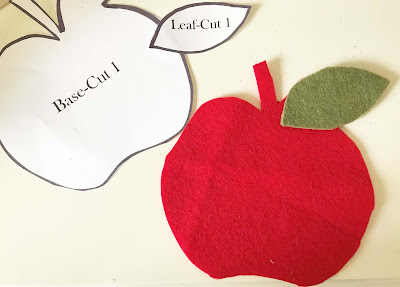 Cut felt shapes using Apple PDF pattern provided HERE. You will need 2 apple shapes, one leaf and one stem. 2. 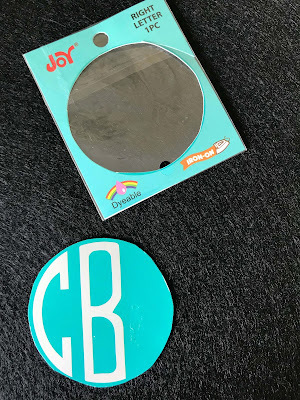 Use the monogram letters packaging to cut out the black felt circle. First, cut out the circle on the packaging and then use it as a pattern to cut out the black, felt circle. 3. Iron the monogram letters onto the black felt circle. Be sure to use a pressing cloth and follow the package instructions. Certain types of felt can melt, so use caution! 4. 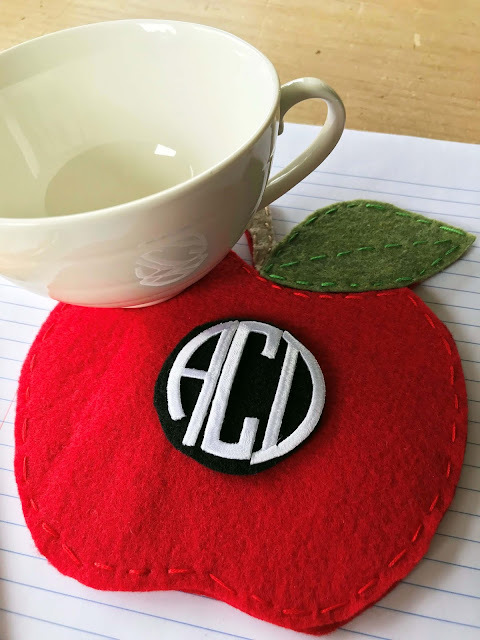 Stitch the black circle at the center of one apple shape. This will be the front. 5. With edges aligned, place the front apple piece, the stem and the leaf on top of the second apple shape. Pin everything in place. 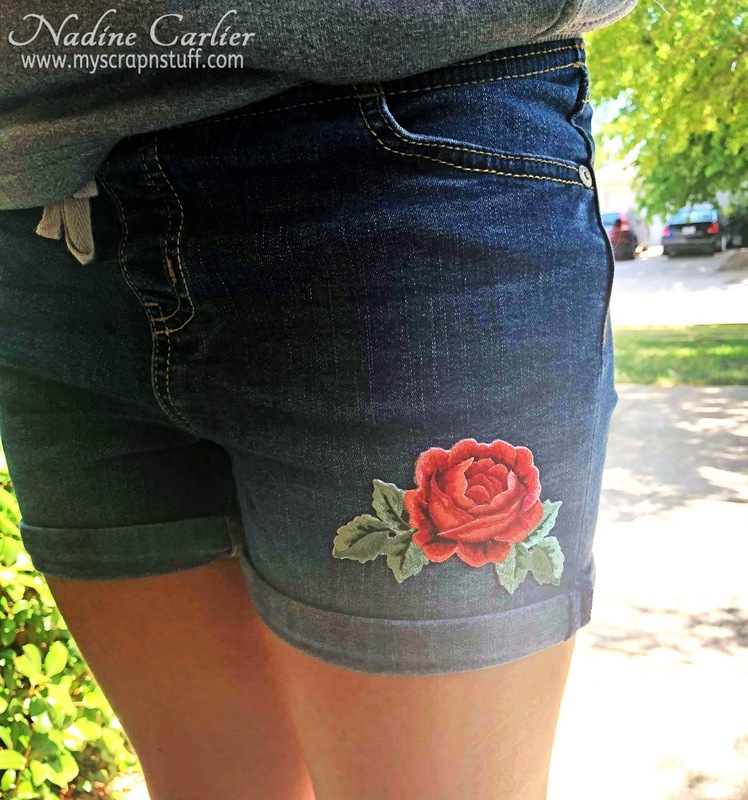 Stitch the pieces together with a simple running stitch. 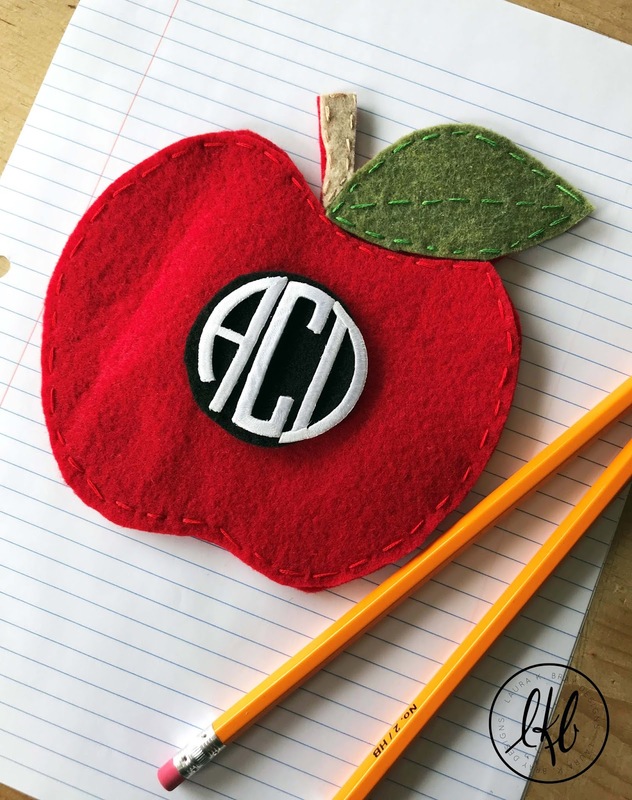 Look for Joy® iron-on embroidered circle monograms at your local craft store! 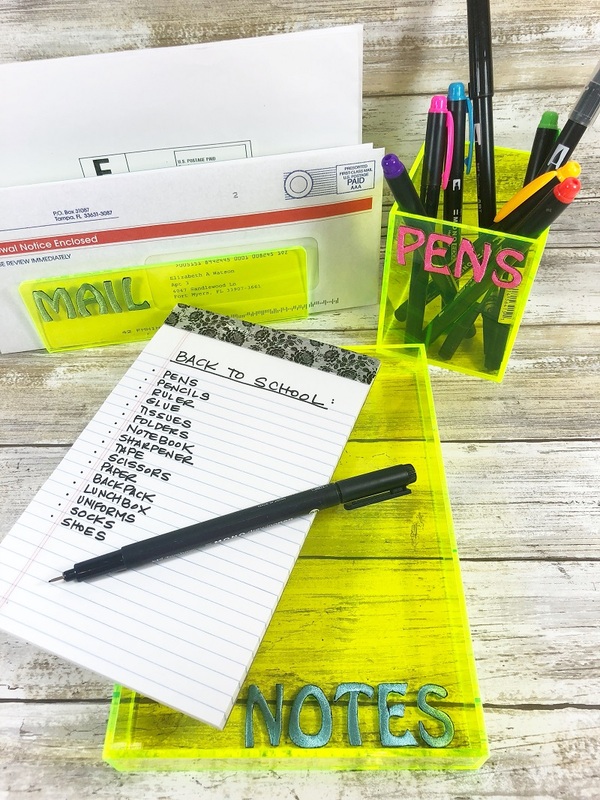 Get the school year off to a great start with a fun selection of desk organizers! 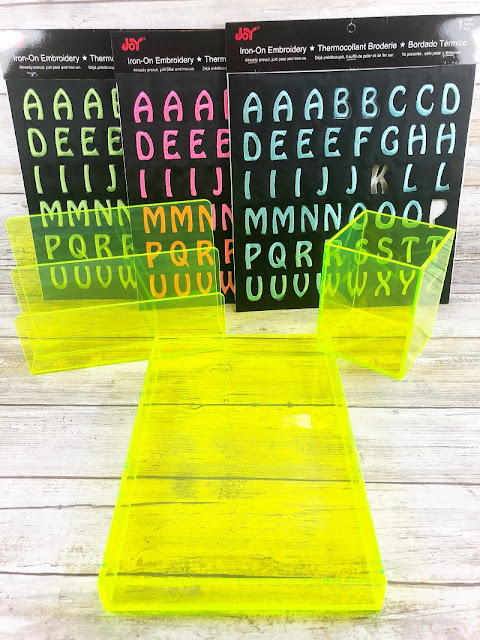 Choose Joy® neon colored embroidered letters to embellish acrylic pieces for a trendy retro look. 1. Remove labels then wash and dry desk organizers. 2. 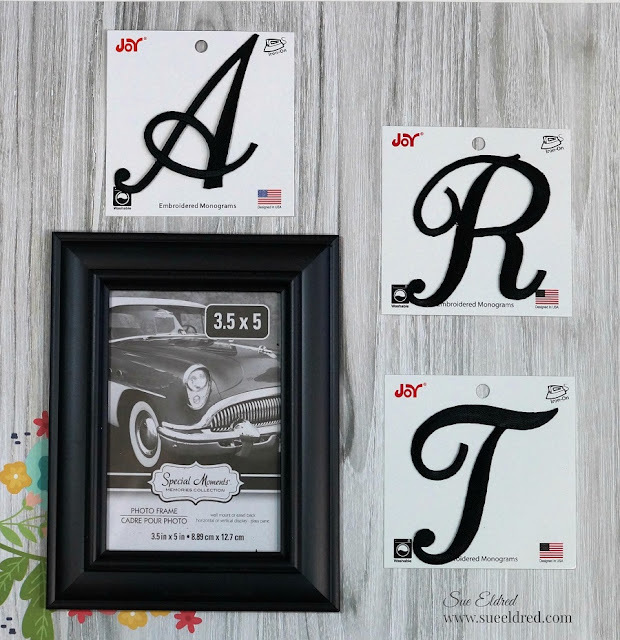 Select the Joy Embroidered Iron-On Letters for each piece. Bright Pink PENS, Bright Green MAIL and Bright Blue NOTES. Dry fit for placement. 3. 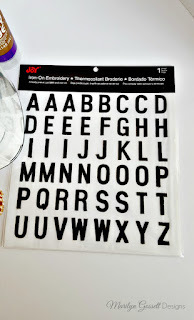 Attach Joy Embroidered Iron-On Letters to organizers with MONO Multi Glue. Let dry. 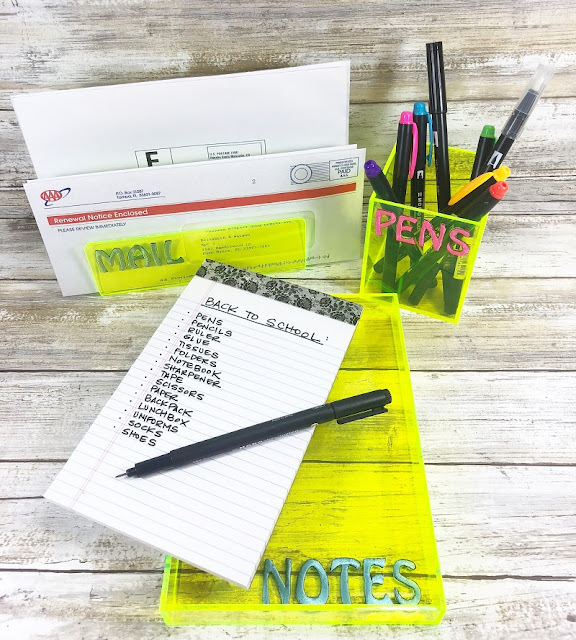 Fill your desk organizers with pens, mail, and notes to start the school year off right! My guest bath has a nice tub and I like my guests to have everything they need for a relaxing experience! Plain jars and containers are abundant at the local craft stores. Combined with embroidered Joy® embroidered letters, I made a decorative jar to hold some Epsom bath salts. 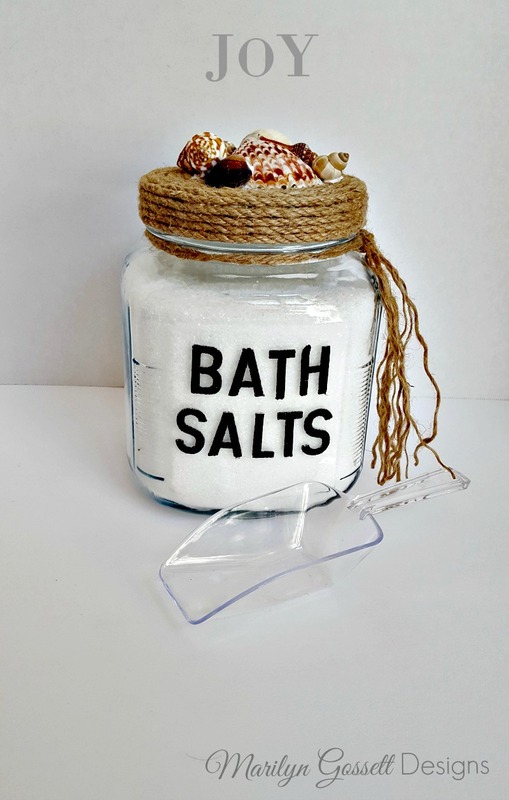 These salts can be colored with food coloring if you would like to add a little pizzazz. I left mine plain for a more natural look. 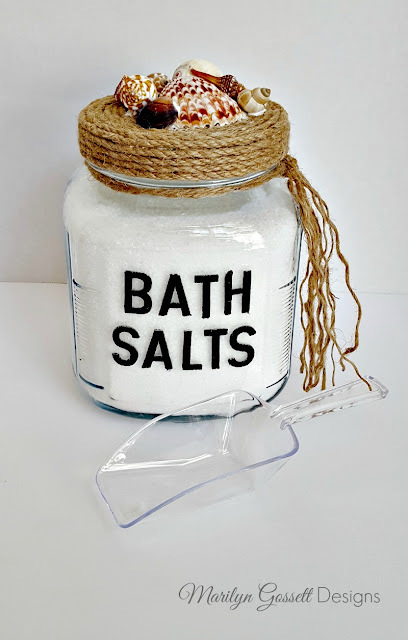 Wash the jar and lid thoroughly then let dry. Apply glue around the bottom rim of the lid. Wrap the jute around the sides of the jar lid while you continue to apply glue. 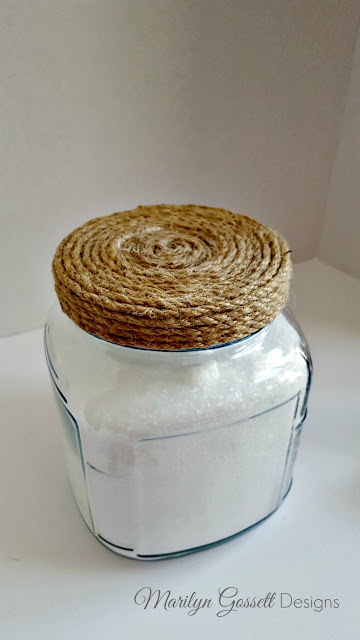 Continue covering the lid with the jute by gluing from the outside rim toward the center of the lid. You will end up with a spiral design on top of the lid. 3. 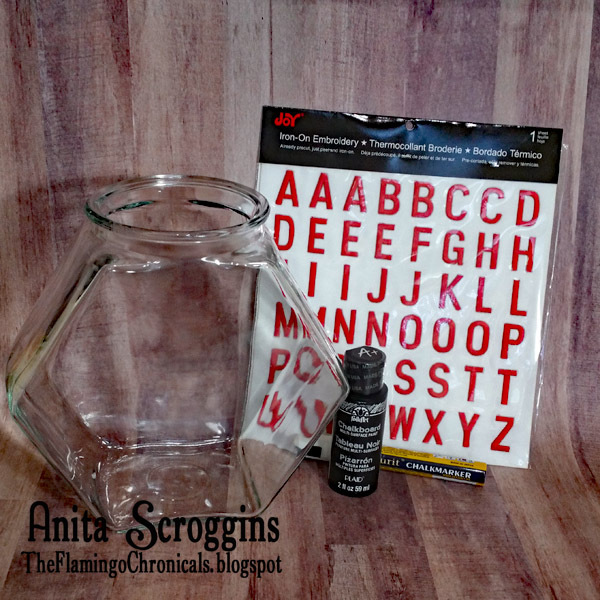 Adhere the letters to the side of the jar with an all-purpose glue that works with glass. Adhere shells to the top of the lid. 4. 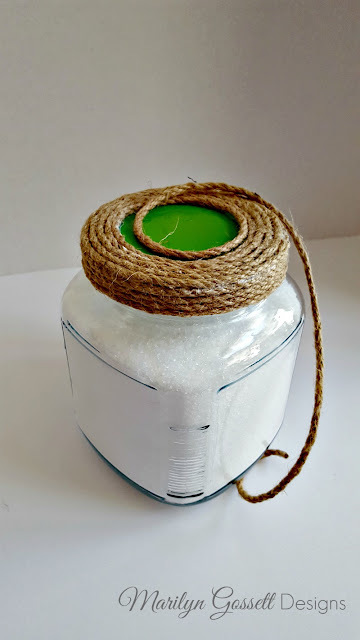 Tie a piece of jute around the neck of the jar then knot the ends. Unravel the ply as shown below then trim the ends to finish. Time to relax and enjoy! 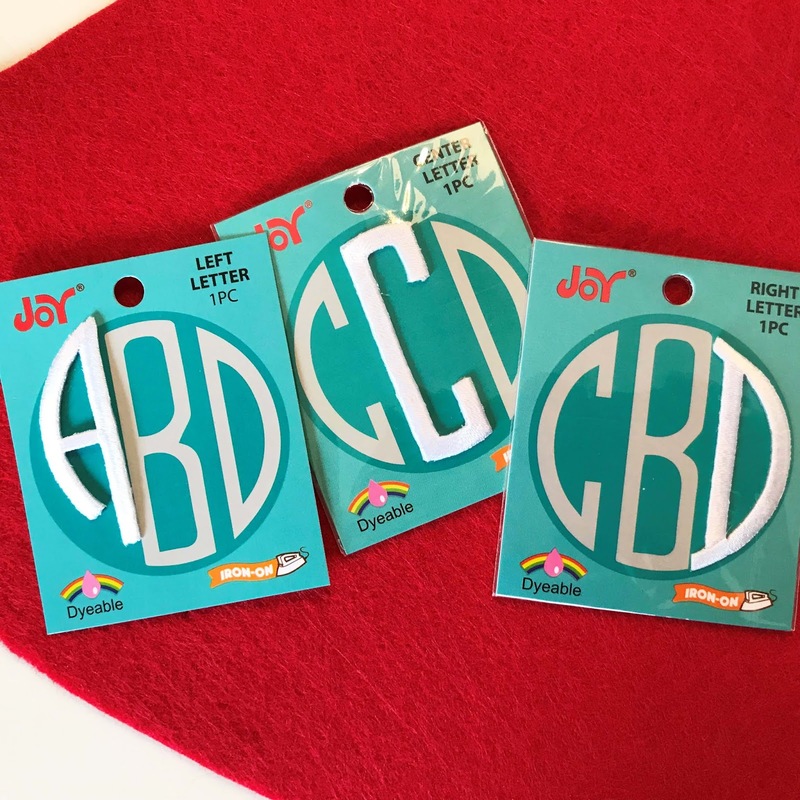 Look for Joy® embroidered letters are available in a variety of colors, sizes and fonts at your local craft stores. Create a quick and easy embroidery hoop wreath with the new Joy® Iron-on flower embroideries. The most difficult thing about this wreath is deciding which beautiful flowers to use! 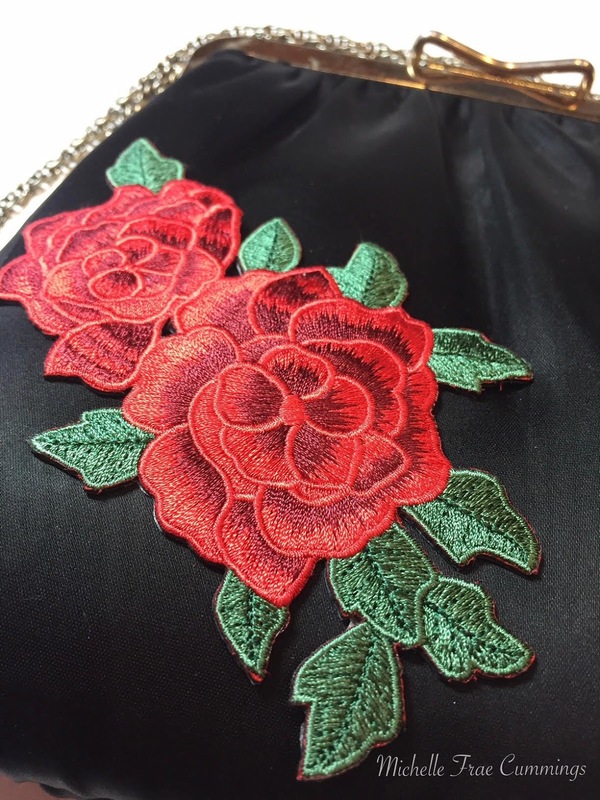 Tie short lengths of wide and narrow organza ribbon to a wood embroidery hoop as shown. Tack two of the pansy embroideries on top of the ribbons with hot glue. 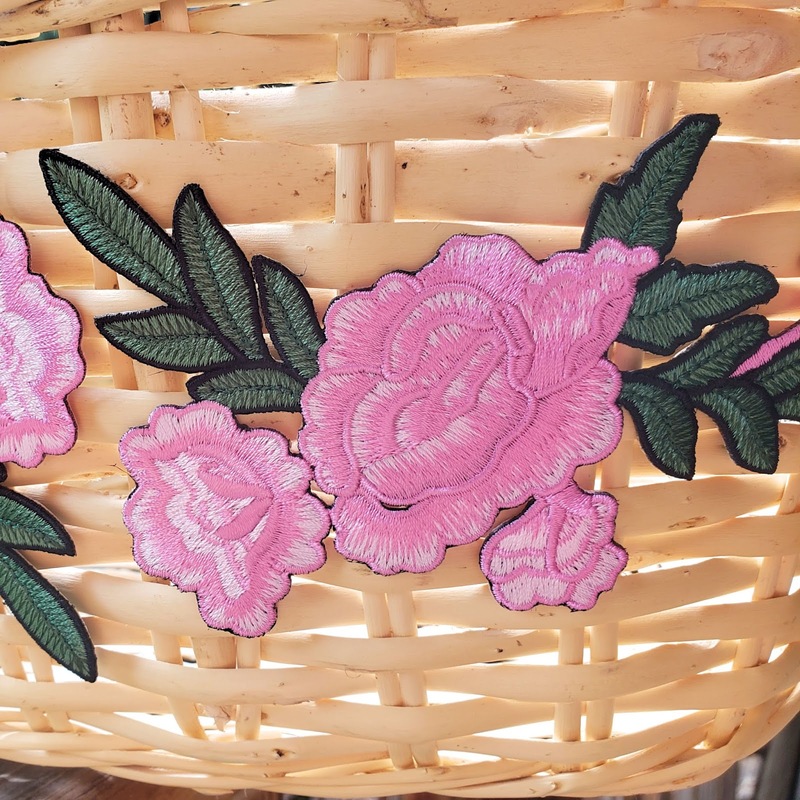 It's easy to be creative with beautiful iron-on embroidered flowers like these. What will you create? Look for them in your favorite craft stores. 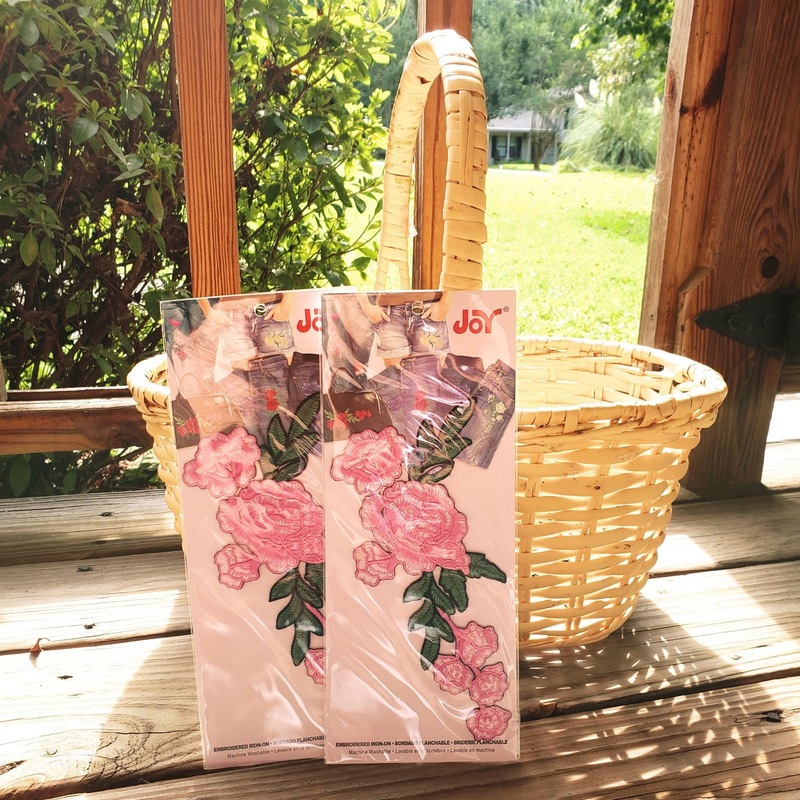 Re-invent a vintage purse or clutch with Joy® embroidered iron-on floral appliqués! 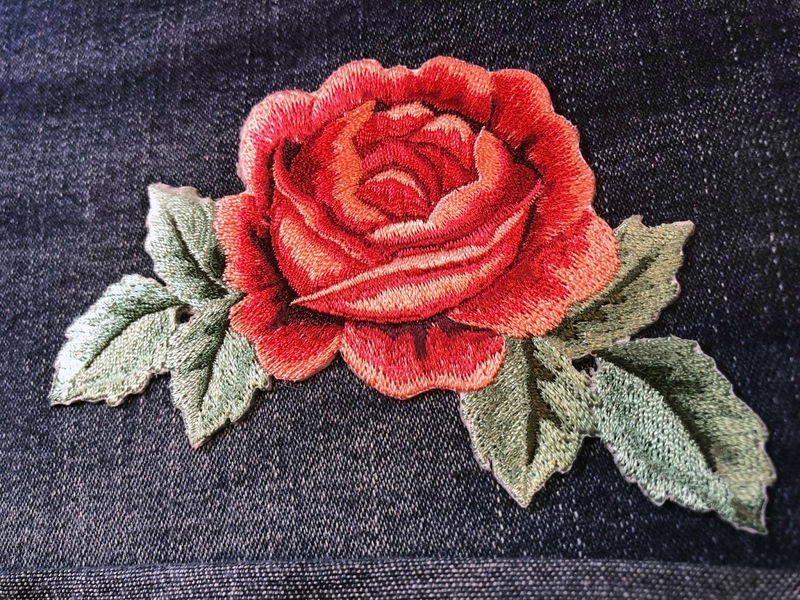 Joy® embroidered iron-on floral applique. Strong fabric adhesive or hot iron. 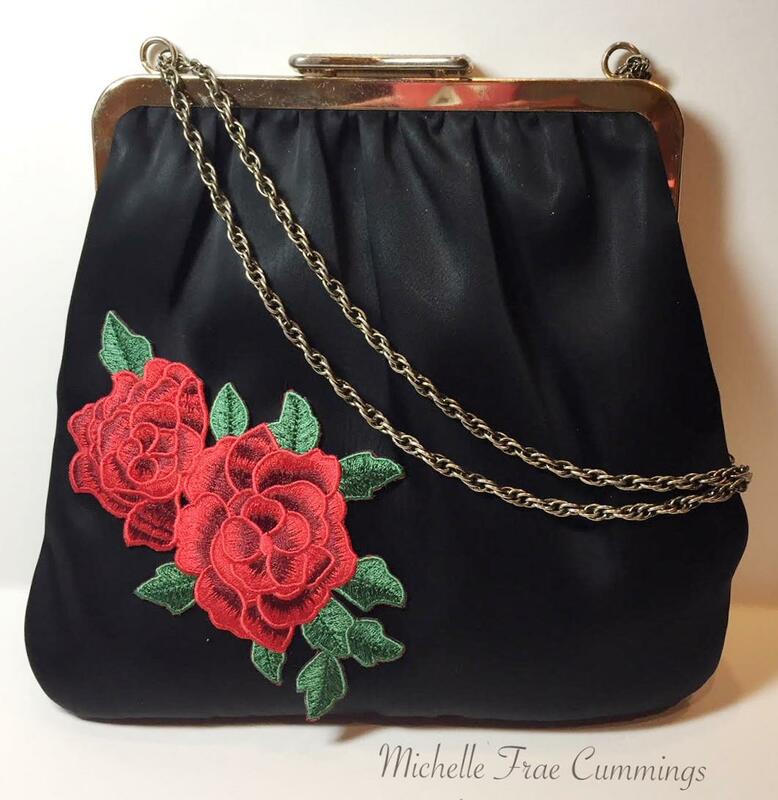 Because ironing satin can be tricky, and this purse is from the 1950's, I used a fabric adhesive to adhere the appliqué instead of a hot iron. 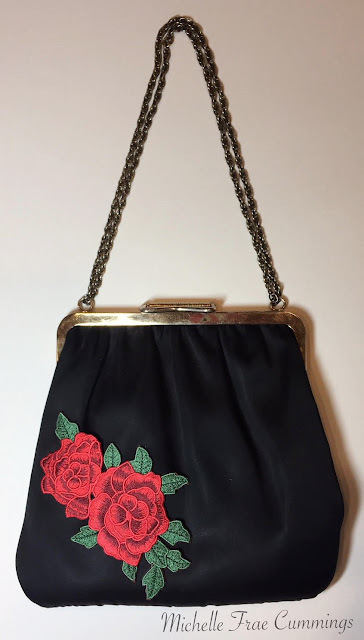 If your purse is made from cotton or canvas, then you would place a pressing cloth over your appliqué then heat set with the iron following directions on the back of the package. The result is stunning! Ready for a day out or dinner with friends! Cut the paper to fit inside the frame. 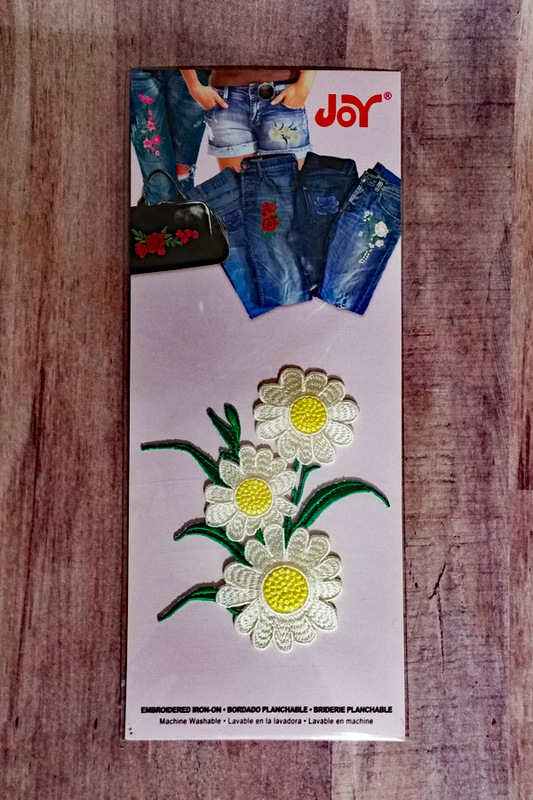 Glue flowers to outside of frame if desired. Additional sizes of Joy® iron-on embroidered monograms are available for endless word fun. You can find them at your favorite craft stores!